TEHRAN, Iran – Iran said it would it would "act without waiting" with regards to protecting its national interests that may be threatened by foreign countries, Reuters reported. The report said Mohammad Hejazi, the deputy head of the Islamic Republic's armed forces, told the country's semi-official news agency news to the country's pre-emptive stance. FILE 2007: An anti-aircraft gun position is seen at Iran's nuclear enrichment facility in Natanz, Iran. "We do not wait for enemies to take action against us," he said. "We will use all our means to protect our national interests." Meanwhile, questions were raised about how much access visiting U.N. inspectors would have to the country's nuclear facilities. The U.N. team has no plans to inspect the country's nuclear facilities and will only hold talks with officials in Tehran, Iran's Foreign Ministry spokesman said Tuesday. The remarks by Ramin Mehmanparast cast doubt on how much the U.N. inspectors would be able to gauge whether Iran is moving ahead with its suspected pursuit of nuclear weapons. The two-day visit by the International Atomic Energy Agency team, which started Monday, is the second in less than a month amid growing concerns over alleged Iranian weapons experiments. Iran denies charges by the West that it seeks atomic weapons, insisting its nuclear activities are for peaceful purposes only, such as power generation. Mehmanparast said the visiting IAEA team was made up of experts, not inspectors. He told reporters that the IAEA team was holding discussions Tuesday in Tehran to prepare the ground for future cooperation between Iran and the U.N. watchdog. He said this cooperation is at its "best" level. "The titles of the members of the visiting delegation is not inspectors. This is an expert delegation. The purpose of visit is not inspection," said Mehmanparast. "The aim is to negotiate about cooperation between Iran and the agency and to set a framework for a continuation of the talks." Visits to individual Iranian nuclear sites were also not part of the IAEA earlier visit three weeks ago. "Iran's cooperation with the (IAEA) agency continues and is at its best level," added Mehmanparast. The IAEA visit comes as Iran announced air defense war games to practice protecting nuclear and other sensitive sites, the latest in a series of military maneuvers viewed as a message to the West that Iran is prepared both to defend itself against an armed strike and to retaliate. The U.S. and Israel have not ruled out military action against Iran's nuclear program. The official news agency IRNA said the four-day air defense war games, dubbed "Sarallah," or "God's Revenge," were taking place in the south of the country and involve anti-aircraft batteries, radar, and warplanes. The drill will be held over 73,000 square miles near the port of Bushehr, the site of Iran's lone nuclear power plant. Iran has held multiple air, land, and sea maneuvers in recent months as the tensions increase. The U.N. nuclear agency on Wednesday acknowledged its renewed failure in trying to probe suspicions that Tehran has worked secretly on atomic arms, in a statement issued shortly after an Iranian general warned of a pre-emptive strike against any nation that threatens Iran. The double signs of defiance reflected continued Iranian determination not to bow to demands that it defuse suspicions about its nuclear activities despite rapidly growing international sanctions imposed over its refusal to signal it is ready to compromise. With the International Atomic Energy Agency already failing to dent Iranian stonewalling in talks that ended just three weeks ago, hopes had been muted that the latest effort would be any more successful even before the IAEA issued its statement. The fact that the communique was issued early Wednesday, shortly after midnight and just after the IAEA experts left Tehran, reflected the urgency the agency attached to telling its side of the story. As the two-day IAEA visit was winding down, Iranian officials sought to cast it in a positive light, with foreign ministry spokesman Ramin Mehmanparast telling reporters that "cooperation with the agency continues and is at its best level." Beyond differing with that view, the language of the IAEA communique clearly -- if indirectly -- blamed Tehran for the lack of progress. "We engaged in a constructive spirit, but no agreement was reached," it quoted IAEA chief Yukiya Amano as saying. The communique said that on both visits, Iran did not grant requests by the IAEA mission to visit Parchin -- a military site thought to be used for explosives testing related to nuclear detonations, and cited Amano as calling this decision "disappointing." It also said that no agreement was reached on how to begin "clarification of unresolved issues in connection with Iran's nuclear programme, particularly those relating to possible military dimensions." The abortive trip was just the latest sign of Iranian resolve to continue hard-line resistance in the face of international pressure to curb its nuclear activities, despite sanctions and U.S. and Israeli warnings of possible last-resort military action should diplomacy fail. Iran over the weekend announced that it will stop selling oil to Britain and France in retaliation for a planned European oil embargo this summer. The move was mainly symbolic -- Britain and France import almost no oil from Iran -- but it raised concerns that Iran could take the same hard line with other European nations that use more Iranian crude. The European Union buys about 18 percent of Iran's oil exports, though most of that comes from sales to just two countries: Italy and Spain. Iran flailed out again just hours before the IAEA team left, with Gen. Mohammed Hejazi, who heads the military's logistical wing, warning that Iran will "not wait for enemies to take action against us." 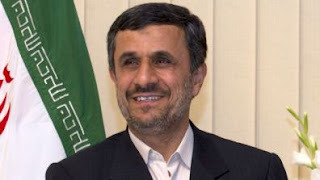 "We will use all our means to protect our national interests," he told the semiofficial Fars news agency. His comments followed Iran's announcement of war games to practice protecting nuclear and other sensitive sites, the latest military maneuver viewed as a message to the U.S. and Israel that the Islamic Republic is ready both to defend itself and to retaliate against an armed strike. Iran has held multiple air, land, and sea maneuvers in recent months as tensions increase, while at the same time continuing to deny any interest in nuclear weapons. It asserts that the allegations of secret work on developing such arms are based on fabricated U.S. and Israeli intelligence. But Amano, the IAEA chief, outlined his concerns in a 13-page summary late last year listing clandestine activities that he said can either be used in civilian or military nuclear programs, or "are specific to nuclear weapons." 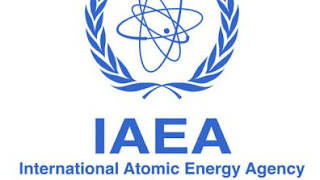 Among these were indications that Iran has conducted high-explosives testing to set off a nuclear charge at Parchin -- the site the agency said Wednesday that the IAEA team was not allowed to visit. Other suspicions include computer modeling of a core of a nuclear warhead and alleged preparatory work for a nuclear weapons test and development of a nuclear payload for Iran's Shahab 3 intermediate range missile -- a weapon that could reach Israel. 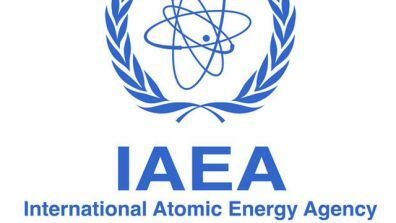 The IAEA team had hoped to talk to key Iranian scientists suspected of working on the alleged weapons program, break down opposition to their plans to inspect documents related to nuclear work and secure commitments from Iranian authorities to allow future visits. Beyond denying any covert work on nuclear arms, Iran also insists concerns that it will turn its uranium enrichment program to making fissile warhead material are unfounded, saying it is enriching uranium only to make nuclear fuel for peaceful purposes such as producing energy. But because of weapons fears, the U.N. Security Council has imposed sanctions on Tehran in a failed attempt to force it to stop enrichment. Tehran's expanding enrichment activities at its plant at Fordo, near the holy city of Qom, are of particular concern for Israel -- which has warned it will not let Iran develop nuclear arms -- because it is dug into a mountain and possibly resistant to attack. In interviews late last week, diplomats told The Associated Press that Iran is poised to install thousands of new-generation centrifuges at the cavernous facility. That would mean that Iran would have the capability of enriching to weapons-grade level much more quickly and efficiently that with its present, less efficient mainstay machines.